Congratulations to the 2017 BAM Lab graduates! 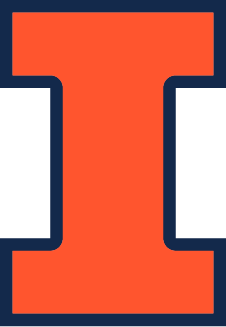 We are an interdisciplinary research lab in the Mechanical Science and Engineering Department at the University of Illinois at Urbana-Champaign. We chose our lab’s name to signify our research passion and expertise. Bio-inspired is defined as inspired by or based on biological structures or processes, Adaptive stems from the verb adapt which means to change oneself to different conditions, and Morphology means the study of form and structure. At the BAM lab, we focus on studying structures that adapt their form in response to external stimulants, and we truly believe that nature provides true inspiration and solutions to state of the art engineering challenges. This vision of learning from nature to inform and improve engineering systems can be applied to various robotic systems in air, underwater, and on the ground. A bird’s wing is one of these natural structures that truly fascinates us. It is a biological system that continuously changes and adapts its form in response to external stimulants. Every feather, muscle, joint, and nerve is designed to enable efficient flight. We believe that current unmanned air vehicles have a lot to learn from birds and it is our mission to continue to learn about the various forms and structures of birds wings and apply this knowledge to our engineered aerial vehicles. We looking forward to sharing our research achievements and breakthroughs with the community, and we welcome collaborators and researchers from all over the world to share their knowledge and passion with us.